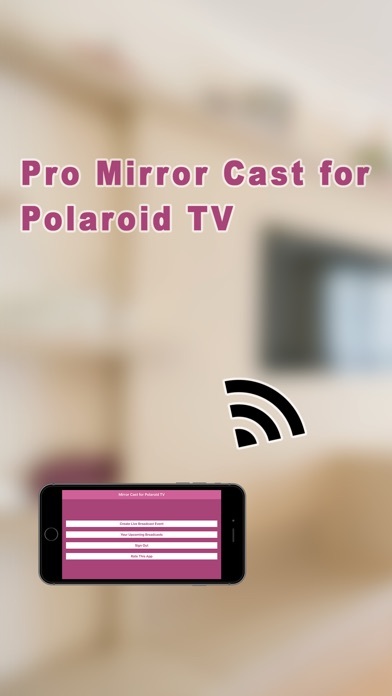 Mirror your iOS devices to your Polaroid Smart TV is actually pretty easy than you think with our app. 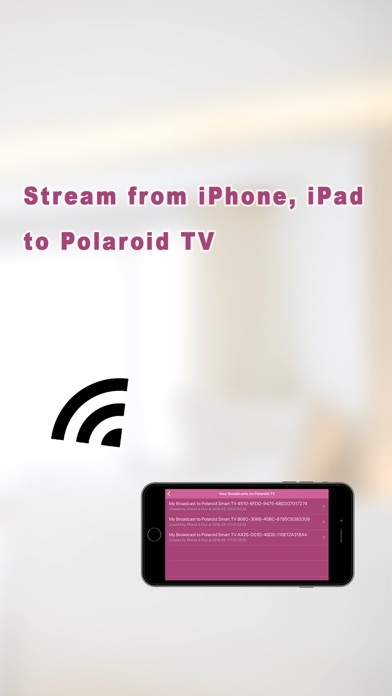 Stream to your Polaroid TV from iOS devices Following these steps: * Log in with your information * Create a broadcast to your Polaroid TV * Go to your upcoming broadcasts and stream * Open youtube app on your Polaroid TV * Look up your livestream ENJOY!!! This app does not work and I was charged 3.99. 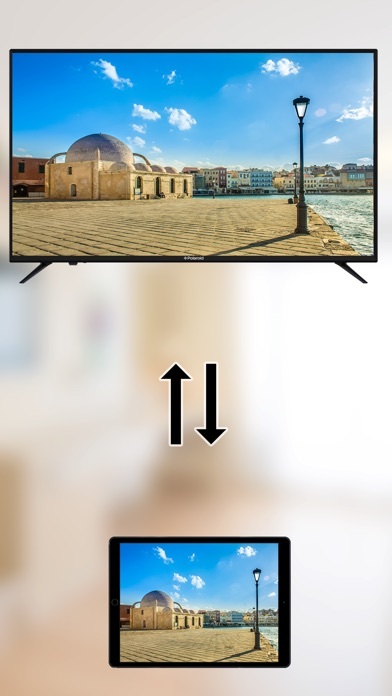 Do not recommend.